Civilization VI boasts an impressive plethora of starting leaders. Each one, when left to their own devices, plays the game in their own unique way. 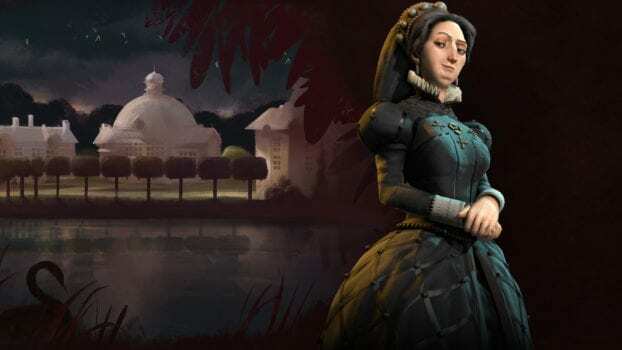 Here are all of the leaders that you can encounter, and how you can get on their good or bad sides in Civilization VI. Gains as many spies and as much diplomatic access as possible. Dislikes civilizations that ignore these espionage activities. Likes civilizations with powerful militaries, and dislikes civilizations with weak militaries. Dislikes city-state suzerains as well as leaders who have conquered city-states. Likes leaders that maintain the peace. Dislikes warmongers. Likes civilizations who are willing to form a long-term alliance. Dislikes anyone denouncing or attacking his friends and allies. Likes civilizations that haven’t yielded in a peace deal. Dislikes civilizations that have surrendered in a peace deal and civilizations that have never engaged in a war. Likes leaders with a strong navy. Dislikes leaders who neglect their naval units. Likes civilizations that have a strong military, Faith, and Culture. Dislikes civilizations that are strong in military but weak in Faith and Culture. Likes civilizations that have the same luxury resources as he does. Dislikes civilizations that have a luxury resource he has not yet collected. Likes leaders whose religions have spread to his cities. Dislikes leaders who have founded a religion and not spread it to a Kongo city. Dislikes civilizations which compete with him for Great People, and likes leaders with weaker Great Person recruitment efforts. Likes civilizations that aren’t competing for the same city-state allegiance. Dislikes civilizations that are directly competing for city-state allegiance. Likes civilizations that are ahead of him in Science and Culture. Dislikes backwards civilizations that are lacking in Science and Culture. Likes civilizations that follow his religion. Dislikes civilizations that spread other religions to his cities. Likes leaders who do not compete with him for Wonders. Dislikes leaders who build more wonders than he does. Dislikes wars on his own continent, as well as wars against city-states. Likes leaders that don’t start wars. Dislikes civilizations following other Religions, or waging war on the followers of his Religion. Likes leaders with whom she has made a Declaration of Friendship. Dislikes leaders who backstab or declare Surprise Wars. Likes civilizations that expand. Dislikes civilizations that control a small amount of territory. Likes leaders who share her continent. Dislikes leaders who are on a continent without an English city. Likes leaders that use spy tactics. Dislikes civilizations that ignore these espionage activities.